In 1925 Le Creuset introduced the first vibrant, Flame-colored enameled cast iron cocotte. This ground-breaking cocotte took a kitchen staple—cast iron cookware—and refined it, making it more functional, more beautiful and deeply joyful. 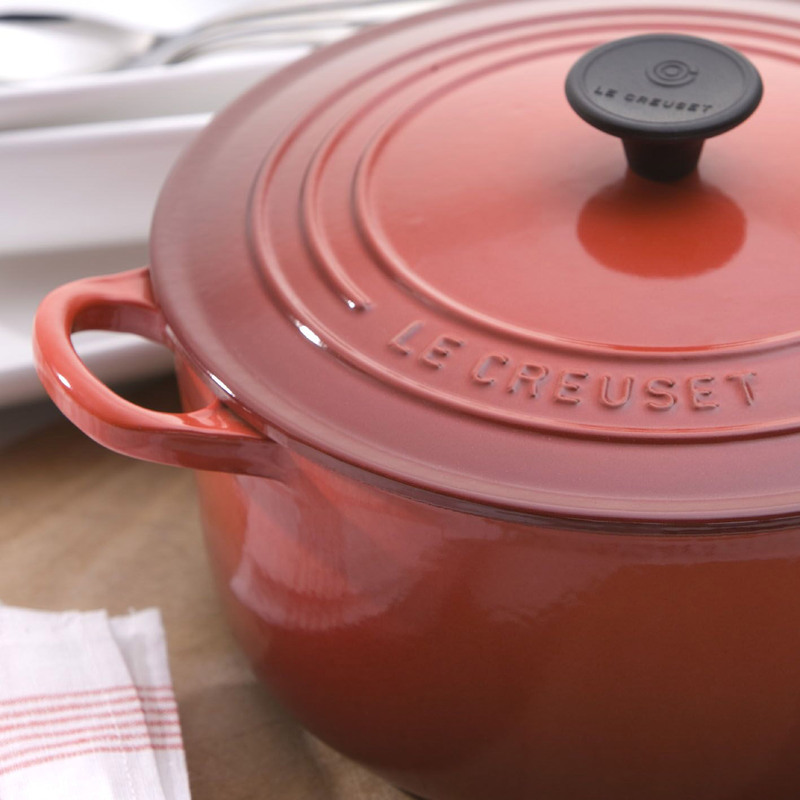 Le Creuset cookware earned a special place in the lives and memories of cooks around the world. Since that time, modern cuisine has continued to evolve and so has Le Creuset, but the moments we share together in the kitchen and at the table are still the ones we treasure most. Ninety years later, cooking continues to be at the heart of our celebrations—just as it has for generations.